This article is about the character. For the guest star, see Frank Thomas. Frank Thomas is an American former baseball player and sportscaster. When Kevin Burkhardt announced that they got Milhouse as a guest, Frank Thomas asked "what's a Milhouse?" 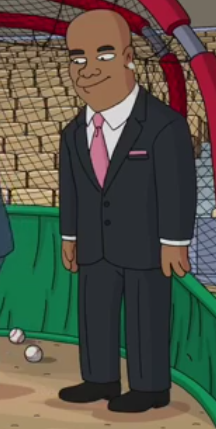 When giving Milhouse baseball tips, Frank Thomas told him to bend his knees. 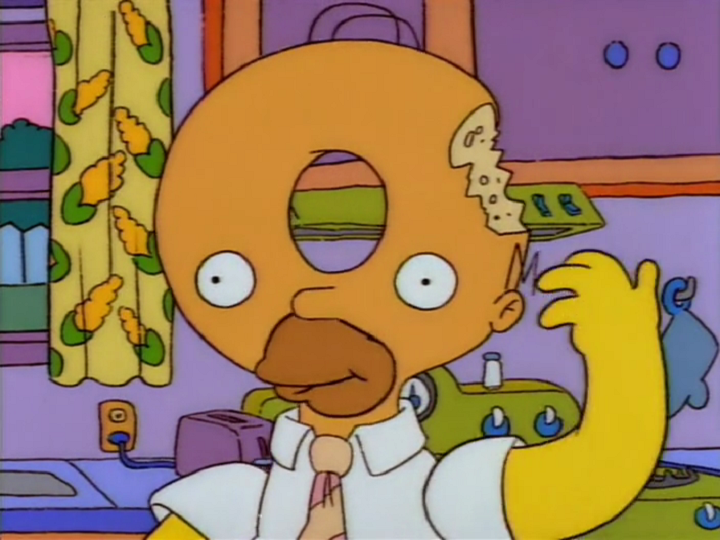 When Milhouse got knocked out by the ball, he told the others that Milhouse wasn't moving. He and his co-presenters then ran away. Modified on October 14, 2018, at 16:59.